Yet another assignment in my Future of Storytelling MOOC has spawned a terrific experience. 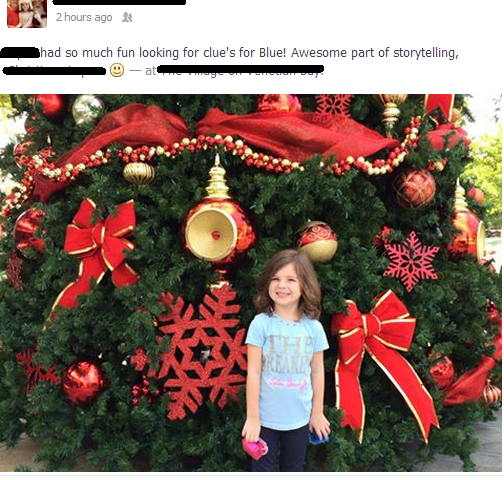 This time it included a friend and her three-year-old daughter. Using locations and original characters, tell a site-specific, location-based story. Melody Avise, former NASA scientist residing on the Space Coast of Florida in a post-apocalyptic techie commune, released daughter Blue to the world government's student dome in Virginia in preparation for Mars colonization. 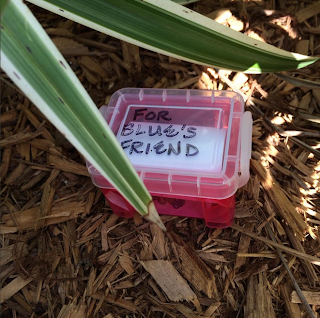 Blue's memory was wiped upon arrival at the dome, but before her departure years ago, Melody implanted her with a hormone-activated memory chip that would restore her memories. 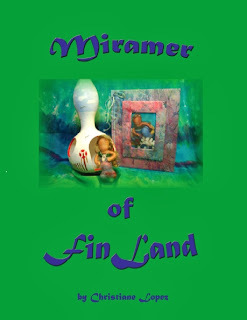 Meanwhile, something goes wrong with the program and Blue flees, using the memory map emerging in her mind to search for her Florida home. 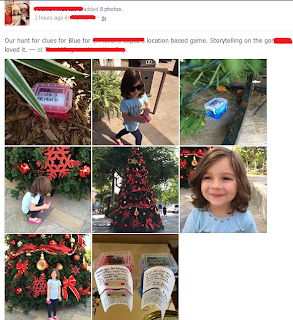 Melody's enhanced connection with her daughter (augmented intelligence resembling psychic ability) prompted her to leave concrete clues for Blue in case she returned. 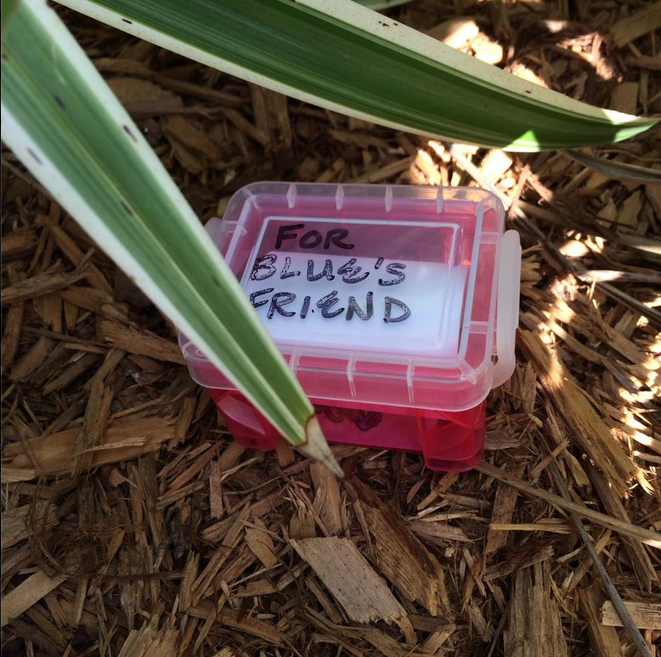 In order to help Blue remember, you will find the objects and post photos of them via social media in a public place Blue may view them to help jog her memory and bring her home. 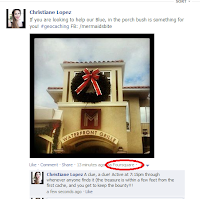 The first clue was left on Foursquare and shared via Facebook and Twitter. 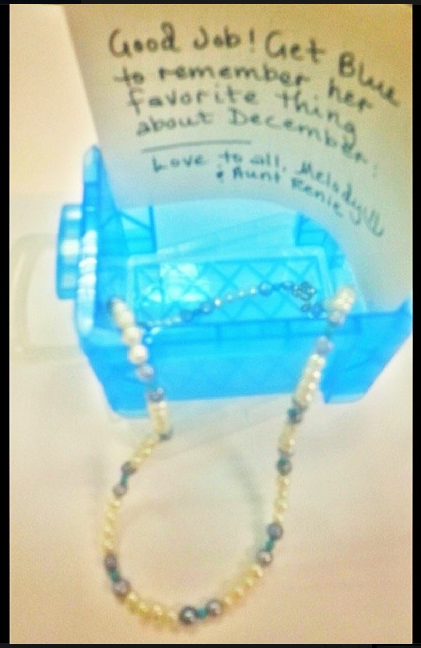 The final cache contained a child's pearl necklace and was found under our community Christmas Tree. My friend's daughter wants to know when she can help Blue again. 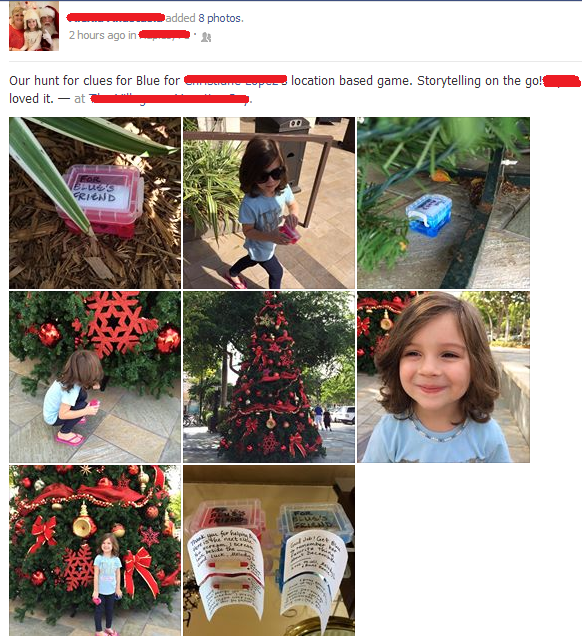 The success of the game is encouraging, and was simple enough for an adult-guided child to enjoy. The complications included unexpected crowds at the sites, making placement a bit difficult, and the limited number of possible participants. 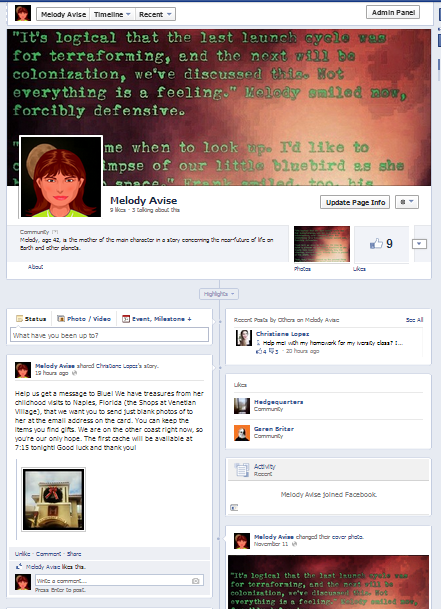 The share on social media was a huge hit, and conversations about the game are underway at the moment. This could lead to a much larger game, and an ARG is in the works! Now it's your turn. If you want a story to get you started, you select elements from our mermaid tale below, or use an invented story or existing storybook to incite an adventure in your own neighborhood! 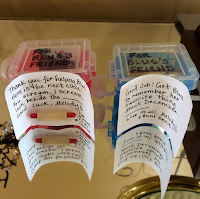 You may be starting a new holiday tradition!